Team of archaeologists and students from the Institute of Archaeology of the Jagiellonian University returned from the Rock Creek Canyon and Sand Canyon in Mesa Verde region of Colorado, in the Southwest of the United States. 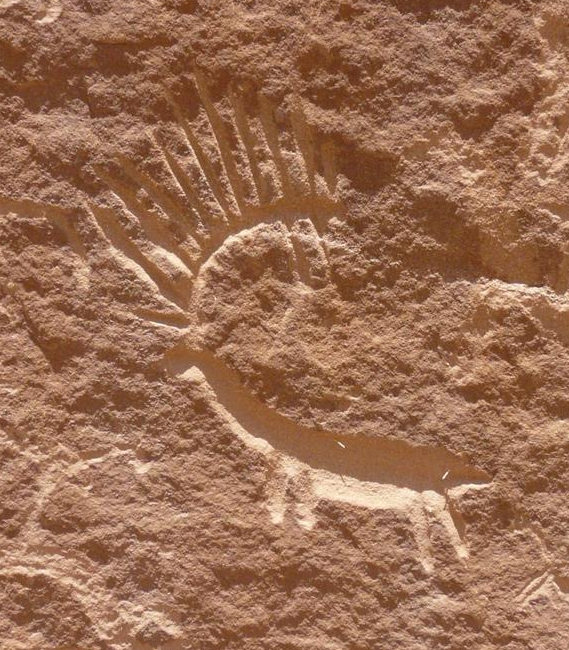 In the third research season, archaeologists discover unknown rock art presentations. "This time we focused on a previously undocumented part of the sites belonging to the thirteenth century Pueblo culture settlement complex. Until now, there were only schematic plans made several decades ago for these locations. Our expedition made detailed drawings, photographs, we also used photogrammetry. In addition, at selected sites we used a non-invasive geophysical method" - explained project leader Dr. Radosław Palonka of the Institute of Archaeology of the Jagiellonian University in Kraków. The researchers were able to document eight sites. These studies are very important for determining the actual areas of studies settlements, the remains of which in the form of stone architecture today are mostly seen only in rock niches in the steep canyon walls. The results of archaeologists from Kraków show that the current views on these settlements should be revised. "Especially geophysical surveys have shown that the extent of settlements in the complex around the Castle Rock Pueblo was not limited only to the interiors of rock niches and alcoves, but a large part of the settlements was outside the rock niches, on the slopes or small flat surfaces. The area of some of them was in fact almost two times larger than the area of ruins visible today" - says Dr. Palonka. 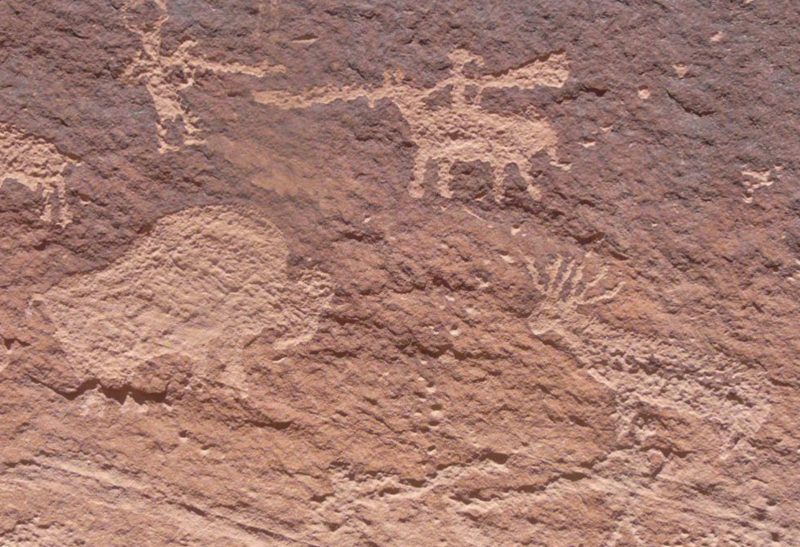 This year's season brought the discovery of numerous examples of rock art, including paintings and petroglyphs previously unknown to American archaeologists and the employees of the Canyons of the Ancients National Monument park, where the research is conducted. Among them are presentations from The Gallery in Rock Creek Canyon, depicting triangular and trapezoidal figures painted white and red, with arms at sides or raised up in a so-called gesture of orans. One of the figures has a poorly preserved feathered war bonnet, which archaeologists saw only after analysing the images using graphics programs, and appropriate filters. "Presentations of triangular and trapezoidal figures are characteristic of the so-called Pueblo culture Basketmaker culture of the Ancient Pueblo People (ca. 500 BC - 700 AD), often interpreted as presentations of shamans" - said the project leader. On the last day of the expedition, close to one of the sites archaeologists discovered a whole rock panel with geometric presentations, including spirals, lines and rectangular recesses. Characteristic here are oblong, deep cut some American researchers interpret as places of grinding axes. However, according to one of the members of the expedition, doctoral student Jakub Nawrot, these are traces of sharpening tools that could be used to make petroglyphs. This year, the Kraków researchers also ventured into the area located a few miles outside of their research concession. At the invitation of the American archaeologist Vince McMillan they conducted geophysical surveys on the site, a characteristic feature of which is a several mitres high and over 126 meters long rock cliff almost entirely covered with petroglyphs and in some places - paintings. "Geophysical surveys were to answer the fundamental question of whether there were remains of structures and buildings under the surface, because it was very puzzling that there was a huge number of petroglyphs dating back to different periods, and no signs of settlement (even the smallest sites) on the surface. Preliminary analysis gave a positive answer, and perhaps next year we will conduct excavations in the most promising areas" - reported the archaeologist. Expedition to Colorado for Kraków students was an opportunity to explore contemporary culture of Pueblo Indians, descendants of the studied cultures from 800 years ago, and the history and customs of other tribes of the Southwest of the United States. The students visited the Ute Indian Reservation located a few miles from the study area. Polish expedition members took part in tribal ceremonies and in a co-educational project with students of a high school located in the reservation. Students also participated in training in the analysis and preservation and storage of archaeological objects in the laboratories of the Crow Canyon Archaeological Center and the Bureau of Land Management, which cooperate in the Polish project. Detailed information about the Polish research in the United States is available at http://www.sandcanyon.pl/ .